I literally received hundreds of messages from readers in response to my request for suggestions of people President Buhari must get rid of to inaugurate a new era for the country. It’s impossible to publish all of them this week, but I present below a sample. President Jonathan has already fired the number 2 man on my list—for totally dishonorable reasons, but I don’t pity him one bit. That’s what you get for duplicity and opportunism. You can't run with the hare and hunt with the hounds. Well, see below a sample of the suggestions people have for the incoming president. 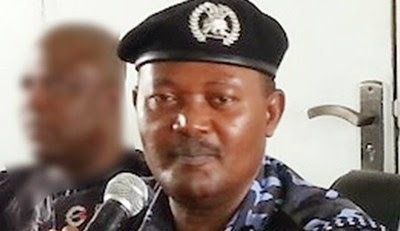 I suggest AIG Mbu be fired, too. He threatened to kill 20 "innocent" civilians should the life of a police officer be put to danger. He's a verbally undisciplined and insensitive officer. I will like to see GMB get rid of Accountant and Auditor General of the Federation. There couldn't have been serious Fraud in the oil sector without their connivance. We don’t also need the present CBN Governor. There are rumours that he was recruited to cover up for the irregularities in the oil sector. Nice and exceptional piece as usual Prof. The CBN Governor should go. Tracing the missing $20 billion to the bank he once presided over has made him complicit. There is just no way for a bank's chief executive not to be aware of that kind of money and its source lodged under his custody. Also, his emergence as the replacement for the whistle blower raises questions in my mind of a possible plot to cover up the misdeeds. I'm surprised no body is asking this question or making the connection. I agree that these people should go but merely letting go of them without any form of accountability is wrong even if the intention is to not appear vindictive. The civil and armed services ought to have procedures for holding them to account for their actions and these ought to be implemented. To do otherwise is to give the wrong impression. The Comptroller General of Nigeria Custom also needs to be fired. He, among other things, seized the container that was bringing President OBJ's book, 'My Watch' and just released it few days ago. 1. Marilyn Ogar: Definitely, the DSS used to be a secret organization up to the time of its Director under Late Yar adua Mr Gadzama, but from Mr Epiyong, it became something else. Heads must roll. 2. IGP Suleiman Abba: I remember a story told by Mahmud Jega on an event which occurred during Trust Annual Dialogue, then Mr Abba was an AIG, where he said "a policeman is trained to recognized and disobey an illegal order unlike a soldier" he buttressed his point with explanation and everyone was impressed with the COP. Then, he started interpreting the constitution. He nailed his coffin last week with the transfer of Mr Ogunlewe AIG in-charge of South-south out of Rivers on election day, where all sort of shenanigans took place. Definitely gone. 3. Service Chiefs: Definitely gone, I don't have to waste by time because they mismanage the war. I teach in Yola, and we saw a lot of soldiers running away from battlefield without even shoes. 4. The Nation's cash cow: The Queen Bee first followed by anyone in the Towers of Corruption. As far as I am concerned, you have mentioned the two main culprits namely the DSS Spokesperson as well as the Inspector General of the President (IGP). In fact, by mentioning the name of the Brigadier who openly came out and denounced the GMB’s non-available credentials in his file amounted to breach of oath of office. As a member of Buhari Support Organization (BSO), I threatened to sue the person for this breach of rules and regulations governing the secret of office in matters of file disclosures. To crown the whole matters into one, the nation’s security apparatus need to be reformed, enhanced and developed so as to reflect the world standard of unbiased security set up. I suggest making an overhaul of the manpower system in the affairs of the Nigeria National Petroleum Company (NNPC) which the GMB has served as its Petroleum Minister and Presidential Assistant on Petroleum Trust Fund (PTF). However, with current petroleum scarcity facing the country, the fuel and kerosene subsidy scandal as well as the continued loss of revenue of billions of US dollars from the oil sector, have testified that all was not well with the NNPC. We are sick and tired with liars and propaganda emanating from this sector. A lasting solution will be found by the incoming democratically elected administration ever found in Nigeria. The Nigeria Television Authority (NTA) has no business dragging the organization into politics. The NTA will have a lot of questions to answer than mere sacking the Board and management of the authority. If found wanting, they should be made to face the music to taste the dividends of change advocated by the masses.